For years, individual ambulance companies have been surveying their patients, usually using a home-grown survey tool. These local surveys produced results to varying degrees of success. But many a leader wondered, "What do the numbers mean?" "Are my company's results excellent, good, average, or not so good?" "are my company's results excellent, good, average, or not so good?" 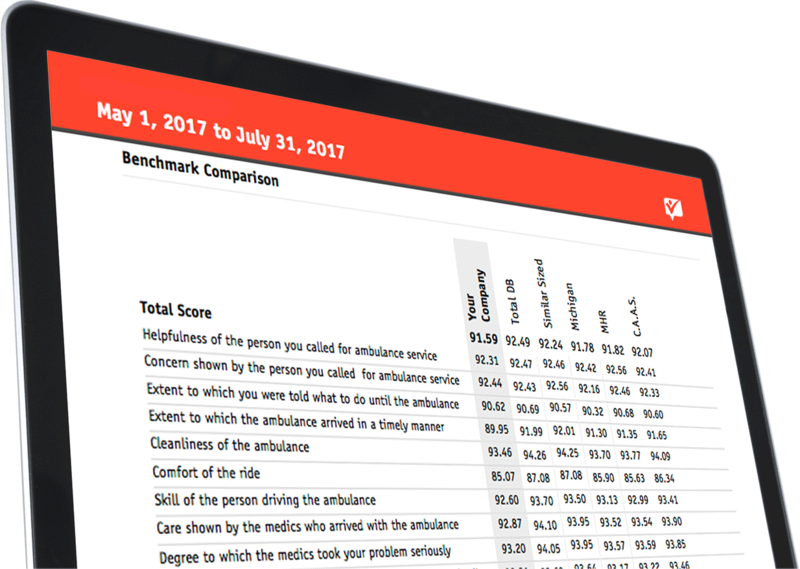 EMS Survey Team's parent company, MHR partnered with a globally recognized research firm to develop an accurate, independent patient experience survey and analysis platform for Emergency Medical Services providers. MHR, was formed to create a statewide network of ambulance and medical transportation companies in Michigan. MHR also provides billing, employee satisfaction surveying, group purchasing; and other support services to EMS organizations. MHR currently provides services to more than 100 EMS organizations throughout the United States. © 2017 Mobile Health Resource Inc.